Media Species poster. Detail. See full size image on Flickr. View a full size image of the poster on Flickr. Media Species is a poster for SIGGRAPH Info-Aesthetics exhibition in 2009. 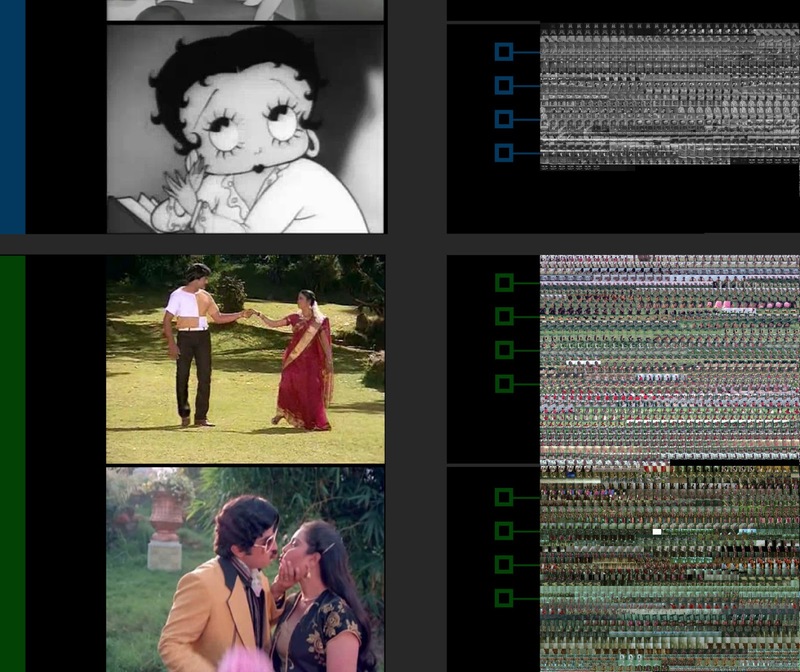 The project is comparing different types of media (1930's cartoons, song sequences from Bollywood films, contemporary motion graphics and U.S. TV political ads from 2008) using a variety of visualization techniques. 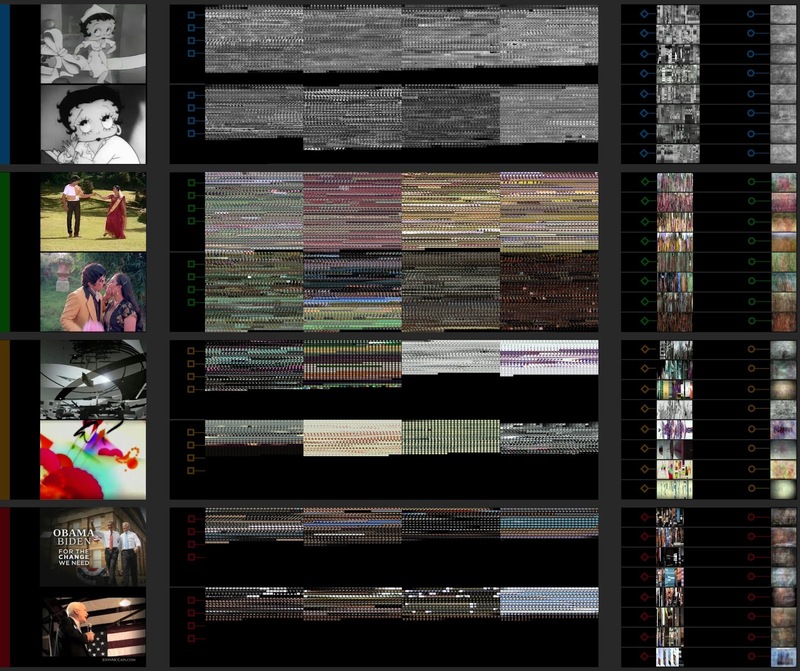 Matrix of frames sampled at regular intervals. Temporal slice through a clip. Each vertical line in a slice corresponds to a vertical line taken from the middle of a frame of the video. Frame averages. Clips were sampled at regular intervals and the resulting frames were averaged. Line graphs. X = frame number. Y = frame difference. To create Y values, we subtracted each frame from the frame which follows it. 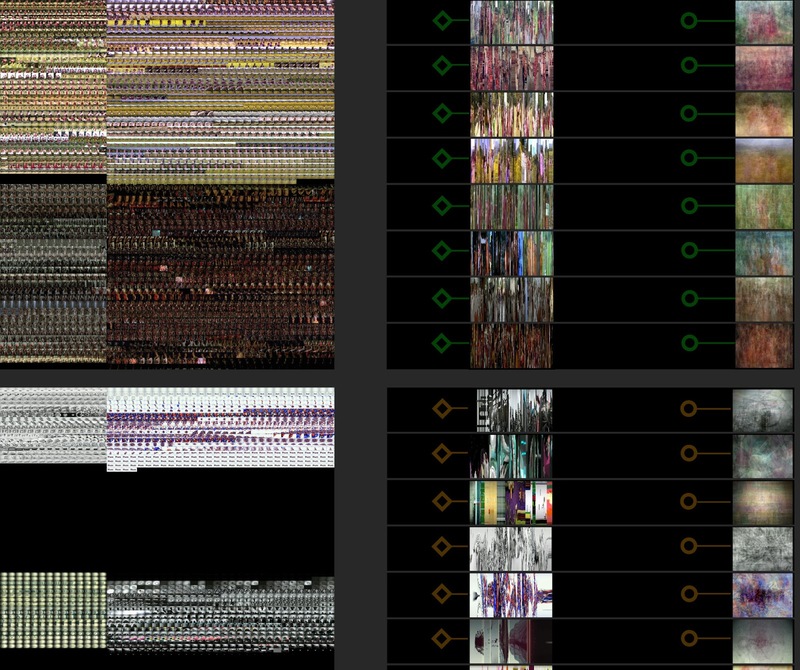 All videos were digitized at the same rate of 12 fps to enable comparison of patterns across classes and species.